Safety is often cited as a parent’s primary concern as they send their child to college, but many security measures set in place by a university, including blue light emergency kiosks, are outdated and non-functioning. However, CIMCON’s Blue Light Emergency Mobile App replaces these kiosks with a smartphone app that provides greater student access, immediate emergency location information, and comprehensive reports showing areas of possible security concern. Works on CIMCON's iSLC-3100-7P, iSLC-3100-480-7P and iSLC-3300 with a separate "Blue Light" Application software license. Lights can be controlled by the app within a 100-meters radius. Alerts are sent via SMS or Push Notifications to campus security phones. 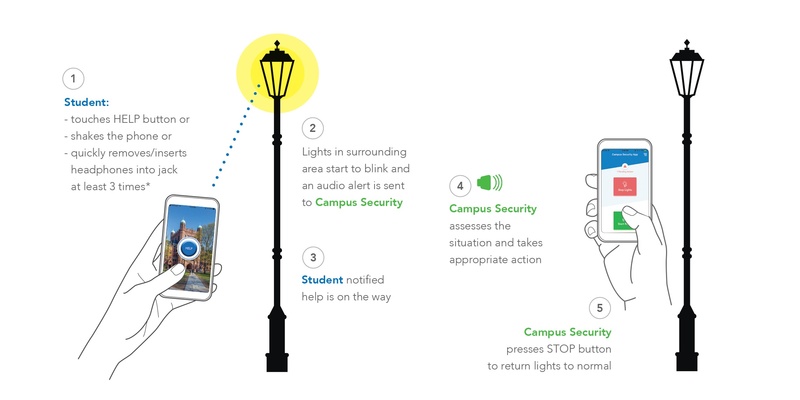 Improves access and therefore safety ( each student phone with this app essentially acts like a “Blue Light” kiosk). Does not require expensive and time consuming trenching to install “Blue Light” kiosks throughout the campus. Improves reliability over traditional methods. 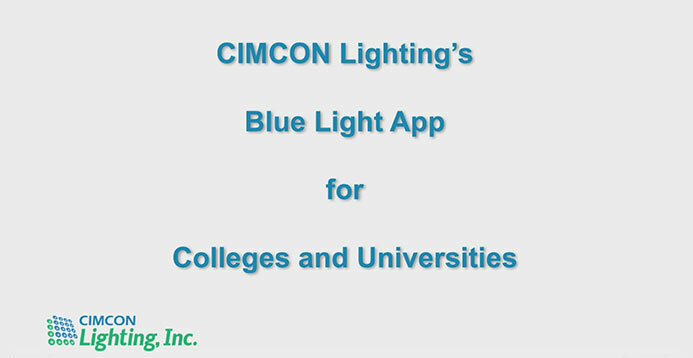 Eliminates the need for colleges/universities to maintain and upgrade expensive physical "Blue Light" systems. Provides comprehensive dashboard and analysis of potential areas of campus that are more prone to security risks providing an opportunity to address them.